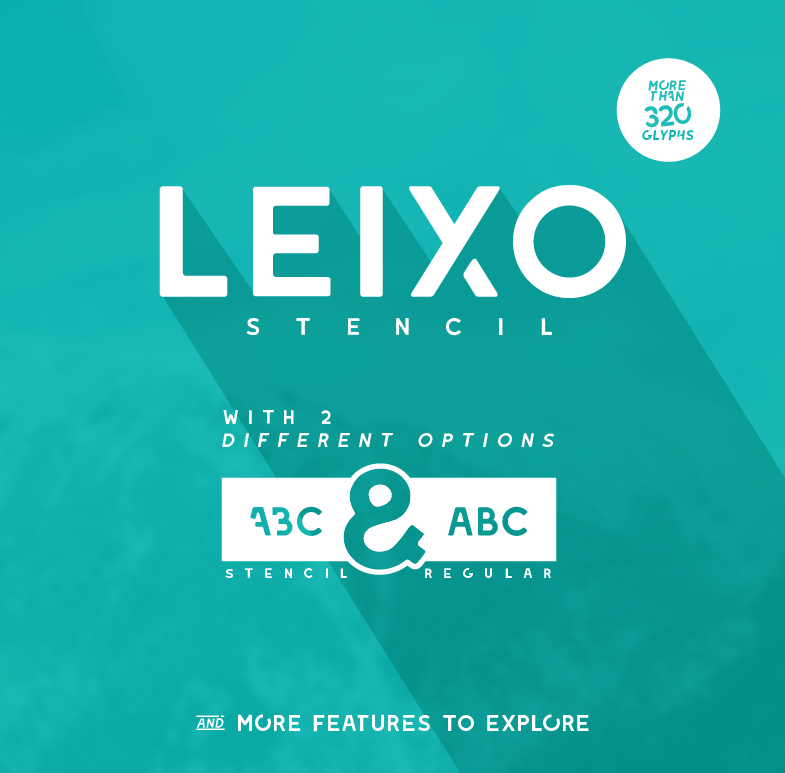 Leixo is a fancy stencil with a lot of features to use. You can use lower and upper case to create a mixture of a stencil touched multifunctional headline. To use the ligature, just type "theliga" and you will get a unique designed pre-set eyecatcher. There are more ligatures and styles in the full version! The Full version including numbers, symbols and language support is included with an license only.